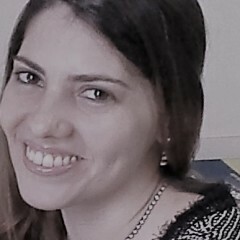 Daniela Silva has background in Pedagogy with Post graduation in People Management and Neuroeducation. Currently contributes as educational writer and researcher in Neuroeducation, developing articles and educational materials for parents, students and teachers. The article themes involves brain and child development, behavior and addictions, emotional intelligence, multiple intelligences, andragogy, learning disorders, homeschooling. Working in collaboration with The New Heights Educational Group, Inc., she has just published Unraveling Reading, a book on literacy education and learning disabilities in reading and writing. In addition, Daniela has her academic monograph "Developing the creative potential of children by stimulating the window of opportunities," published. Context: study biology, chemistry, calculus, and any other subject need to become a RN. Context: Go to college and get a degree in Speech pathology. I am debating between the career path of a surgeon and a child psychiatrist. Context: I am unsure of the proper steps to be taken for my future career paths. My career goal is to become an independent very good programmer that works with big corporation i.e google, IBM, etc.. Context: i'm not quiet sure of steps that i need to take,but what i need most is a motivational advice about programming staff that boost my interest in programming. Context: Get into a college that is good for my majors for my career. Do well in college so that I can get into a graduate school. Intern/Residency at hospitals to gain experience. I would choose the Industrial Organizational Psychologist because it simply works for my needs and wants for a career. The day to day tasks are just more suitable for my skills, wants, and values. For my goals, lifestyle wise this would be better because it seems like a very busy investigative job that I could you the skills I am good at to use. I read that they might get to travel to other parts of the company in various parts of the world which is also something I would love to do. Personally, I had goals of having a very successful, in demand job and this is one of the perfect ones for it. Knowing that I can go out there and feel like there is a high demand for my job is something I hope to have because the job market will be competitive anyway. Financially, this is a very lucrative and as much as I would rather have a fulfilling job than care about the pay, this is a nice bonus on top of all the things this career offers. It is a very high paying job, which will help me in the future and the flexibility of having my own firm would be perfect if I decide to start a family or go on a nice vacation I won’t have to worry about finances or waiting to see if I still have my job when I come back. Context: I am applying to college now, I am not sure what to major in quite yet. If I pursue this career I will also have to go to grad school and do a a fellowship. After this I will work in various industries and hopefully open my own firm. Context: I would go to collage then to law school. My secondary career choice is to become an entrepreneur with an Engineering degree and Phd in medicine to develop prosthetics. I want to be a Veterinarian in the future. Context: Which one should I choose if they are not the same thing? My career goal is to become a neonatal nurse practitioner. I like working with kids and I have patience. I know I want to pursue a career in nursing, but I also want to become a teacher. Context: To reach my goal, I will go to a college that has a good medical program, obtain a bachelors of science in nursing, and complete a number of years of clinical experience in a hospital setting. I have 3 career goal I want to be when I grow up the 1st is to be a lawyer 2nd to be a children's cancer hospital and the last is to be a vet of animals. Context: To reach my goal I need to go to school and finish college and work hard to reach my goal. I have yet to discover what career I envision for myself. I like to help people. I love listening and giving advice and I love to cheer people up when they're sad or mad. I love working with little kids( more like preschool or elementary, middle school and high school students not so much because they can be cruel, I would know because I was often the one to be bullied). I learn visually and hands on. I love baking and I am looking more into baking and decorating sweets. I would love to know as much as I can so I can achieve my dream. My career goal is to become hair stylist and make up artist. Context: The steps that will take me to reach my goal is to practice. the two career paths are similar but not the same I either wanna be a sports physical therapist, or a sports doctor. Context: I will complete high school; in college I will take the the course psychology. I will be going to University of Texas Pre-Law and University of Texas Law. Context: I will continue to play regularly and watch to develop personal strategies and style. I will also look into training and conditioning to see how to implement it into my style. Music i know is what i want and then i might want to do writing or talking to others like helping them. Context: Get into a college that is good for my majors for my career. Do well in college so that I can get into a graduate school. My career goal is to eventually start my own non-profit organization that focuses on youth empowerment. I would like to be in the acting or entertainment business. I'm doing my Alevels this year. Im sort of confused between journalism / mass media or medical . journalism is like a passion by heart , but when it comes to a serious topic , i want to do medical and become a physiotherapist. Context: I work hard on my subject areas , as im doing Science now . i've taken physics , chemistry & biology . ad after this one year ill probably go to canada to complete my further studies. I want to become a social worker. As long as I remember, I've always had a child in my house, either my sibling or a child that my grandmother was babysitting. It was always fun helping and spending time with them. I love doing so. As such, I want to enter a career focused on children. However, I'm not sure which careers would be best for me, much less the variety of careers there may be or the pay that may be available. Context: For now, I've been tutoring middle school and fellow high school students when they need it, as well helping with a middle school's gardening club. My career goal is being able to open up a daycare with my bestfriend and teach the children there music. I basically want to be a music teacher for the youth. Context: To achieve it, I have to take at least four years of college to get my teaching degree. I would like to create a non profit organization that serves to teach students across the country about the importance of mental health, as well as improving their mental health through education, screenings, and referrals to professionals. Context: My senior year of high school I am taking steps to create a mental health club at my high school. It will include information and action to the student body. After graduation I plan to attend the University of North Texas and receive my bachelor's degree in either Social Work or Psychology. Post graduation I will spend two years living at home and get a job as an Americorps Vista, getting more credentials with organization, event planning, and working with children, as well as gaining experience in the non profit field. I will then go to UNC for a MSW on advanced standing, so I will only need to spend one year of field work to get my degree. Hopefully I will get a job at a non profit organization and start paying off my student loans. Once I have paid them off I will start my own non profit. Context: My senior year of high school I am taking steps to create a mental health club at my high school. It will include information and action to the student body. After graduation I plan to attend the University of North Texas and receive my bachelor's degree in either Social Work or Psychology. Post graduation I will spend a year living at home and get a job at the library as an Americorps Vista, getting more credentials with organization, event planning, and working with children, as well as gaining experience in the non profit field. I am not sure where to go after that. I enjoy working with young children, is it better to become a teacher or a ophthalmic nurse for kids? What would be a better job? Child psycologist within the school district OR A CHILD PSYCOLIGIST IN MY OWN OFFICE? How do you deal with sexism in the workplace? Why extrovert people are as sensible as introverts? What are some good publications to submit your writing to? How much sleep is really required? What is the best way to become friends with my college roomate? What are some good tips for coping with test anxiety? How do you deal with nonverbal kids on ASD? My goal is to become a parent / family life educator. How do I maintain peace in my life when helping children daily who are hurting in their life? How do I keep work, at work? What classes should you take if you want to become a Psychology Teacher? Is neuroscience a good major?